Born in Thornley, England in 1925, Tom Gleghorn moved to Australia as a young child with his family. Despite studying engineering and having no formal training in art, Gleghorn has forged a long and successful career as an artist. 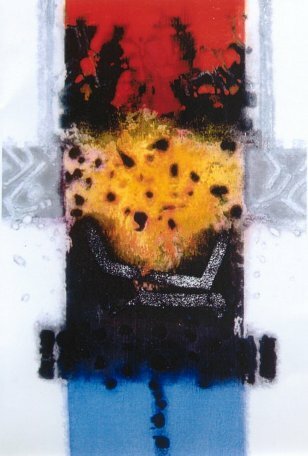 He was appointed as Director of Blaxland Gallery in 1958, the same year he won the Mosman Art Prize with a painting entitled Fragment of the Crucifixion and the Blake Christus Prize with Head of Christ. Tom was awarded the Helena Rubinstein Travelling Scholarship in 1961, giving him the opportunity to travel and see great European masterpieces first hand. 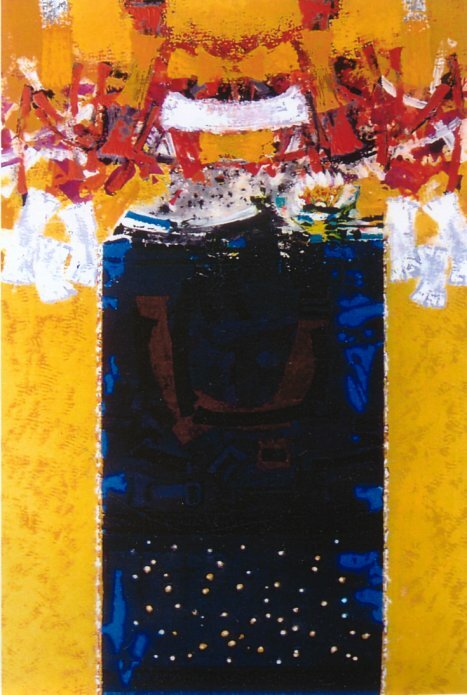 He has exhibited regularly since 1959 and has lectured at several Australian art institutions and colleges and was teacher of art and design at the National Art School in Sydney until 1968. It was not until 1983 when Tom began painting on a full-time basis. His dedication to Australian art, both as an artist and an educator, was recognised with the award of a Member of Order of Australia (OAM) in 2005. Daws, Tucker, Gleghorn, Pugh, Hodgkinson, Queensland House, London, U.K.
New South Wales House, The Strand, London, U.K.
Australian Painting, Tate Gallery, London, U.K.
Collectors Choice, Stone Gallery, U.K. Recent Australian Paintings, Whitechapel Gallery, London, U.K.
Burr-Swartz Australian Collection, Los Angeles, U.S.A.
C.A.S. Group Vision Gallery, London, U.K.
Australian Paintings, San Francisco, U.S.A.
Manchester City Art Gallery, U.K.